It helped me speed up installation, thank you! Confirm with @Yhochanan, dosen't work with 16.04. @Yhochanan I had the same error. I found that a vim swap file already existed and the file zshrc had some errors in it from a previous install. I deleted the swap file, then opened zshrc, fixed the errors and added the path. This wouldn't work for me because it installed the android-sdk-linux directory in my home directory rather than in a directory named sdk. 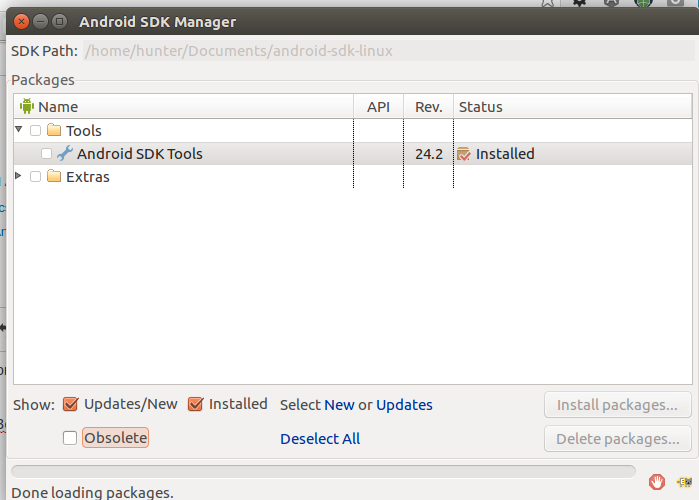 Created a directory named sdk and moved the android-sdk-linux directory into it and it worked like a charm afterwards. Thanks ! This was very useful ! Very usefull, thak you indeed! Package not installed due to rejected license ''. Before it asks y/n for accepting all licenses but my build machine just enters "", so how can I fix this? Very useful, it saved my life! @TheBlackDude , here is the spellings of "Awesoem" > "Awesome"
this segment code just want to add environment variable permanent,we can use other way to complete it. 4.open a new shell and type "echo $PATH"
This is the best piece of software on Github. I didn't have to go do things! This did all the things for me. +1000 internets for you. Also a nomination for the Nobel Peace Prize. *warning: * running android update sdk --no-ui will install everything. Check out this blog  for more instructions if you want a custom install. Below error pops up when executing this command.